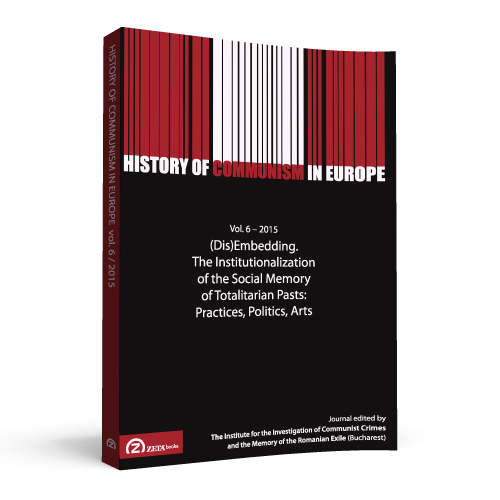 Zeta Books Publishing House released the latest issue of the IICCMER academic journal History of Communism in Europe, vol. 6/ 2015, on the topic (Dis)Embedding. The Institutionalization of the Social Memory of Totalitarian Pasts: Practices, Politics, Arts. 20th century Europe faced several forms of authoritarian or even totalitarian regimes. 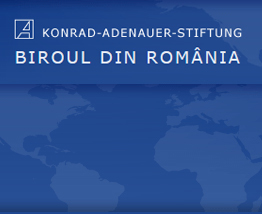 21st century Europe aims at building democratic societies and at learning from the struggles of the past, an endeavor that implies, on one hand, a close and honest look at history and a careful work in institutionalizing the various collective memories of the European communities, on the other. The question of how to deal with traumatic memory stirs debates to this day. This volume tries to gather some pertinent answers, models or useful inquiries regarding the management of the intricate relationship between memory practices, their institutionalization and the (un)welcomed mixture of politics in this already complex equation. How do we conceptualize, interpret, re-present and institutionalize an accurate version of the past, if there is one? How do we include all the voices that need to make themselves heard? Do we need to limit the intrusion of the political factor? What is the role of the civil society in managing the past? History of Communism in Europe, vol. 6/ 2015, can be acquired here.